Exports of traditional rice-based food, such as "tteok" and "topokki," are on the rise amid growing global demand for Korean food, data by the state-run food trade corporation showed Sunday. According to the Korea Agro-Fisheries & Food Trade Corp., exports of South Korean-made tteok products that include topokki reached $15.65 million in 2017, up a sharp 29 percent from $12.1 million a year earlier. 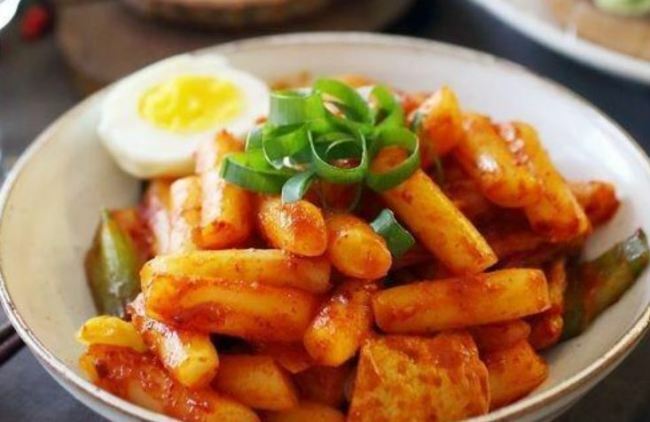 Tteok is rice cake that can be eaten as a snack or used as an ingredient in food, while topokki is one of the most popular street snacks in South Korea, where tube-shaped tteok is broiled in hot pepper paste and served with eggs, toppings, noodles and fish cake. 147 percent, with the total volume rising 60 percent from 4,931 tons to 7,851 tons in the five-year period. The aT Center said that while overseas demand was initially centered on Korean nationals living abroad, there has been a steady rise in demand from foreign consumers. It said ordinary Americans and Europeans were attracted by the perceived health benefits of eating gluten-free rice-based food, while in places like Japan, China and Southeast Asia, the Korean Wave, or the popularity of Korean pop culture abroad, is fueling consumption. The trade corporation said there has been a rise in the number of eateries selling topokki in the U.S. and establishments in Vietnam. It said topokki exports to Japan alone shot up 337 percent on-year in 2017 to some 700 million won ($620,000) from just 200 million won in the previous year. "There seems to be steady demand for the rice-based food that is relatively easy to prepare and eat, with this trend expected to continue," the center said.